When Charlie Brennan goes ice fishing on her town's frozen lake, she's hoping the fish she reels in will help pay for her dream: a fancy Irish dancing dress for her upcoming competition. 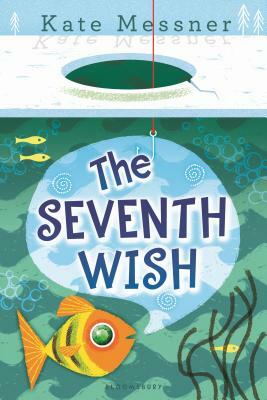 But when Charlie's first catch of the day happens to be a talking fish offering her a wish in exchange for its freedom, her world quickly turns upside down, as her wishes go terribly and hilariously wrong. Just as Charlie is finally getting the hang of communicating with a magical wishing fish, a family crisis with her older sister brings reality into sharp focus. Charlie quickly learns that the real world doesn't always keep fairy-tale promises and life's toughest challenges can't be fixed by a simple wish . . .
Acclaimed author Kate Messner expertly weaves fantasy into the ordinary, in an important story of self-reliance and hope that will open readers' eyes to the wonders and challenges of their world.